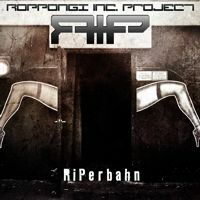 riperbahn is the fifth release by r.i.p. (roppongi inc. project) - dj negative and dj fomin from moscow. the ep riperbahn features five original tracks and seven remixes carefully assembled. the album opens with classic orchestral sounds - "seed" then the theme of the ep is introduced by track no. 2, the original �riperbahn�. this composition is dedicated to hamburg`s world-famous red-light district and is peppered with amatory female german samples. the theme continuously runs through the whole r.i.p. project that contains six riperbahn remixes (by ad inferna, vigilante and others) demonstrating r.i.p.`s overwhelming diversity. r.i.p. impressively show their power in producing bombastic tracks that really move both your emotions and your body on the dancefloor. riperbahn - awesome russian trance/industrial at its best, simply a must-have. get riped!